Why do I have Cancer? "How to Restore Your Health from Cancer"
Here is the most detailed book on how to overcome disease by treating the whole body from diet, nutrition, exercise and prayer. We give you all the researched data from A to Z. You get all the answers on how to overcome your health challenges and you get it for free. All you need to do is read and learn. Interested in reading more..... click on the table of contents where you can begin your reading. Table of Contents Listing of all chapters, and addendums with highlights. 1 Introduction - "Our Toxic World" Why is my body toxic? How do I reduce my toxic load? What are the healthy choices you can make? 2 Your Toxic Body and Cancer This chapter explains the cause of your cancer. 3 Natural Treatments for Cancer Follow the 20 listed treatments to naturally rid your body of cancer. Remember cancer is a mold, yeast, and fungus disease. 4 Anti-Cancer Diet There are foods that have cancer-fighting substances in them that help your body ward off cancer. The Anti-Cancer Diet focuses on those foods and drinks that will benefit your body in its fight against cancer. 5 Supplementation In addition to following the Anti-Cancer Diet you will need to include supplements that will boost your immune system and increase your odds of success. 6 Digestive Health Did you know that 80% of your health or lack there of comes from your digestive system. A poor digestive tract contributes to disease. This chapter focuses on improving digestive functions from the stomach to the colon. 7 Mold Contamination Cancer is a mold, yeast and fungus disease. Your cancer could be the result of your environment. Do you have a moldy home? If you have cancer I recommend a special filter that kills deadly mold spores to rid your body of this toxic exposure. 8 Dental Work - Is it Toxic to your Health? Did you know those silver amalgam fillings in your mouth are 45-55% mercury? These mercury fillings have been proven to leak mercury vapor that is absorbed into your body. Mercury is a hazardous material and their is no safe level in your body. 9 Exercise - Your Key to Health Exercise is key because it naturally causes the destruction of fungus in your body. When you exercise you burn calories and take the food source away from your fungus causing cancer. 10 Fasting "Fasting brings your current present lifestyle to an abrupt halt. It gives you an opportunity to pause, reflect and decide how you are going to conduct your life afterwards. This enables you to make a break with your past and set off in a new, more positive direction." 11 Getting Started Back to Health Your step-by-step guide to getting your health back. What you should do first. We hold your hand through the maze of information provided and guide you through the steps to a "new you." 12 "My 60-Day Planner" Your personal trainer getting you back to good health. Takes you through each day with proper food and drink with supplementation. All the things mentioned in the first ten chapters are applied in an easy to follow format. This format begins from the time you wake up until the time you go to bed. 13 Completion of Program Once I finish "My 60-Day Planner" what's next? We answer your frequently asked questions. 1 Ordering from Waiora Most of the supplements can be easily purchased following the instructions in your E-Book. However, purchasing your "Natural Cellular Defense" and EDN from Waiora can be much more confusing because of your options available. This addendum was created as a self-help guide in helping you through this process. 2 Salad and Salad Dressing Recipes Your key to good health is eating fresh raw vegetables in your own prepared salads. Include as many colored vegetables shown on the Anti-Cancer Diet in Chapter 4. We include some healthy salad dressings that contribute to good health instead of the toxic grocery store salad dressings. 3 Purchasing Your Alkaline Water Machine Here is the step by step guide in purchasing my recommended water ionizer machine. We include Alkaline Water in "My 60-Day Planner." 4 Prayer and Reflection - Your Daily Guide Prayer and Reflection is another important medicine included in "My 60-Day Planner." To heal your body from disease not only takes a good diet with proper supplements but also God at your right hand. If God is not part of your life now,...... it is time for a change. In the evening you should spend 1-2 hours in meditation and prayer. Read the Holy Bible and other inspiring books that help you heal your heart, mind, body and soul. 5 How to Drink Alkaline Water Drinking Alkaline Water is important part of "My 60-Day Planner" and we show you how to get started. Alkaline Water can cause headaches and herxheimer reaction when you first start drinking. Start out slowly to reduce the side effects of detoxification. 6 Prescription and Nonprescription Drugs Elimination of prescription and nonprescription drugs is important part of your success in "My 60-Day Planner." Prescription drugs are probably one of the most toxic things you can put into your body. Drugs suppress the symptoms of disease by disrupting normal cellular functions. Drugs cause disease. Proper supplementation with the Anti-Cancer Diet are keys to "Restoring Your Health"
In addition to following the “Anti-Cancer Diet” you will need to add supplements. While most of the foods on the “Anti-Cancer Diet” will improve your health and put you in the right direction, we need to add these supplements to increase your odds of success. Is there a link between Vitamin D and Cancer? [Updated 6/9/2012] Vitamin D is actually a steroid hormone. Research has shown that people who have cancer have low Vitamin D levels. Research further shows that Vitamin D can protect and kill cancer cells . If Vitamin D is so important to my health how can I get this important nutrient in my body? There are three ways to get your Vitamin D. The first way is from sun exposure on your skin. The second way is through food we eat, mainly, seafood. The third way is through Vitamin D3 supplementation. Lets examine the least expensive way to get your Vitamin D - from the sun. Sunshine on Your Body Produces Vitamin D.
Are You Getting the Right Kind Sunshine? Through my research I have found many inconsistencies with what we are told by our Doctor and what is in fact the truth. The latest big lie we are told is that the "sun causes cancer." The sun, if used properly, is a healing agent for the body not something to be avoided. You have probably heard the phrase "sunshine on your skin produces Vitamin D." Is this true? It depends when and where you get the sunshine. What does that mean? Lets first examine the sun's rays and how they play a role in our health. The sun gives off two types of rays; UV A and UV B. Studies have shown that only UV B-rays can provide your body with the important Vitamin D that is needed to prevent and ward off cancer. In contrast UV A-rays are what radically increase your risk of skin cancer and photo aging of your skin. You must reduce your exposure to the dangerous UV A-rays while exposing your skin when the UV B-rays are present. When are the beneficial UV B-rays present? When is the ONLY time to Sunbathe? What you need to know is sunlight is composed of 1500 wavelengths, and the only one that makes Vitamin D on your skin is UV B-rays. UV B-rays must shine on unexposed skin - no clothing or coverings. Here's the problem. UV B-rays must pass through the atmosphere and reach where you are on the Earth. These UV B-rays occur only when the sun is above an angle of about 50° from the horizon. What happens to the UV B-rays when the sun is below an angle of 50°? When the sun is lower than 50°, the ozone layer reflects the UV B-rays back into space but the more dangerous longer UV A-rays still reach the Earth. Do not sunbathe when the sun is lower than 50° as your body will be subject to the damaging effects of the UV A-rays. Also, do not sunbathe during cloudy days as the UV B-rays cannot penetrate the clouds but the UV A-rays can. So how do I know when the UV B-rays which allow for vitamin D production on your skin are available in my area? Enter the city and state you are sunbathing. The current date is automatically shown. Hit the "Compute Table" button. Sunbathe during the day when the sun is 50° or more on the table shown. Please Note: Daylight time is not implemented in this program. When daylight time is in use, add one hour to the times listed in the table. The table uses military time so 13 means 1 PM, 14 means 2PM etc. From this website located the world map shown to the upper left. Double click near your location. The map will zoom in and center where you double clicked. Double click again on your location and continue this until the map is centered on your location. Obtain the Longitude and Latitude shown just below the map. Use "Form B - Locations Worldwide". Enter the Longitude first be sure to specify correctly whether it is "East or West". Then enter the Latitude second and also be sure to specify correctly whether it is "North or South". Sunbathe during the day when the sun is 50° or more on the table shown. Why are Skin Cancer Rates Up? UV B sunshine on your skin produces Vitamin D for your body. Don’t be fooled by reports that say, “Sun causes skin cancer.” Just the opposite is true. UV B sun on your skin prevents skin cancer! So why are skin cancer rates skyrocketing? I find it curious that skin cancer rates are on the rise when we are avoiding the sunshine and putting sunscreen lotions on when we go out in the sunshine. My wife, age 49, had skin cancer on her nose in 2009. She rarely goes outside and when she does she lathers her skin-exposed areas with sunscreen. I lay out in the sun as often as I can (without burning) with no sunscreen. No cancer for me. Here are the facts. Store bought sunscreens cause cancer. Why? They are loaded with chemicals that cause cancer. Here is a list of ingredients commonly found in your sunscreens! 1. TEA, DEA, MEA (tri-, di- and mono- ethylamine’s) can cause liver and kidney cancer. It’s also corrosive to eyes, and causes allergic reactions on the skin. 2. Formaldehyde is carcinogenic. It’s strongly irritant to the eyes and throat, and causes irritant and allergic dermatitis. 3. Diazolidinyl and imidazolidinyl urea (Germall 115) may release formaldehyde, so it’s irritant and carcinogenic. 4. Most of FD&C color pigments are carcinogenic (according to animal studies). They also contain heavy metals that may cause skin sensitivity. 5. The following nitrosating agents were proven to cause cancer in laboratory animals: 2-bromo-2-nitropropane-1,3-diol,Cocoyl sarcosine, Hydrolysed animal protein, Lauryl sarcosine, Quaternium-7, 15, 31, 60, etc, Sodium lauryl sulfate (SLS), ammonium lauryl sulfate (ALS), sodium laureth sulfate (SLES), ammonium laureth sulfate (ALES), and Sodium methyl cocoyl taurate. 1. Lanolin is obtained from the wool, so it’s often contaminated with chemicals used on sheep (pesticides). 2. Mineral oil can be contaminated with PAHs (polycyclicaromatic hydrocarbons) that cause cancer. 3. Talc, routinely used in genital area increases the risk for ovarian cancer. So do you really believe that God’s beautiful sunshine that gives us Natural Vitamin D that studies show helps prevent cancer; actually causes cancer? Finally, do you really believe lathering your body with man-made cancer causing chemicals that prevent your body from absorbing Vitamin D actually prevents skin cancer? All nutritionists agree that the Sun in moderation (without burning) is healthy for you and that chemical based sunscreens are dangerous to your health. I expose my body to the sun? First let me clarify something for you. When I say expose your body to the sun that means taking all your clothes off and exposing as much of your body to the sun as you legally can. Naked is best, a skimpy swimsuit or shorts are ok. Why? The more skin that is exposed to the sun the quicker you will get your Vitamin D requirements. A fully clothed person wearing a baseball cap is not going to meet their Vitamin D requirement even if they are outside in the sun all day. naked, to the sun but avoid burning myself? As soon as your skin has a light pink (Caucasians only) color to it, you have maximized your exposure (no more Vitamin D can be absorbed) and any further exposure will only harm (burn) your skin. Don’t forget to expose your front and backside (your whole body). It is important to stress that you should never get burned and should only implement sun exposure very gradually. Just five minutes in the midday sun in the summer may be all you will need at the beginning. Gradually as your skin pigment changes to a darker color you will have to stay out longer. Use common sense. While we all benefit from regular exposure to the sun, it is important to recognize that you should always limit your exposure so that you avoid getting burned. Sunburn has been clearly related to an increased risk of skin cancer. Interestingly, if you avoid getting sunburned yet have regular sun exposure, you will have a decreased risk of the dangerous form of skin cancer, melanoma. Optimizing your sun exposure in this way also reduces your risk of 16 other common cancers! burning when I am outside for long periods? How Do I Get My Vitamin D in the Wintertime? •	The Best Vitamin D Supplement: “Blue Ice” High-Vitamin “Fermented Cod Liver Oil” high in Vitamin A, Vitamin D, and essential fatty acids needed in the “Anti-Cancer Diet” ($39 per bottle- 240 ml). If cost is not an issue I recommend this product highly as my best Vitamin D source. Take one tablespoon in the morning and one before dinner. Purchase 8 bottles for “My 60-Day Planner”. One bottle will last 8 days on your therapeutic dosage. Blue Ice High-Vitamin "Fermented Cod Liver Oil"
•	Good: Vitamin D-3 capsules 10,000 IU per day (5 Capsules) for only $5.99 per bottle 250 (as of 6/4/2012). Take Vitamin D-3 and “Norwegian Cod Liver Oil” (see below) in combination if you do not purchase “Blue Ice” Fermented Cod Liver Oil. Don’t purchase anything yet. See Chapter 11: Getting Started Back to Health for information on ordering equipment and supplements for your “60-Day Planner”. If you have cancer, you probably are deficient. In "My 60-Day Planner" I recommend that you test yourself for Vitamin D deficiency. How Do I Get my Body Tested for Vitamin D Deficiency? Below is a website where you can get your Vitamin D levels tested. There are two vitamin D tests – 1,25(OH)D and 25(OH)D. The 25(OH)D is the better marker of overall D status. It is this marker that is most strongly associated with overall health. The correct test is 25(OH)D, also called 25-hydroxyvitamin D. Please note the difference between normal and optimal. You don’t want to be average here; you want to be optimally healthy. Some experts may disagree with the following healthy ranges, but they are taken from healthy people in tropical or subtropical parts of the world, where they are receiving healthy sun exposures. It seems more than reasonable to assume that these values are in fact reflective of an optimal human requirement. Your vitamin D level should NEVER be below 32 ng/ml. Any levels below 20 ng/ml are considered serious deficiency and will increase your risk of breast and prostate cancer and autoimmune diseases like MS and rheumatoid arthritis. If you have the above test performed, please recognize that many commercial labs are using the older, dated reference ranges. The above values are the most recent ones based on large-scale clinical research findings. There are a number of different companies that have FDA approval to perform vitamin D testing, but the gold standard is DiaSorin. Their radioimmunoassay (RIA) method for measuring total vitamin D levels has become the gold standard, not because it’s more accurate than the others, but because it’s the one used in almost every major vitamin D study, on which the recommended blood levels for clinical efficacy are based. Therefore, in order for any other testing method to offer clinically relevant results, the test values must agree with DiaSorin RIA results, since those were used to establish the recommended levels. The LC-MS/MS (liquid chromotatography-mass spectrometry) method is the preferred method for many labs, including the Mayo Clinic, Esoterix, ZRT, and others, while other testing labs like LabCorp favor Liaison. Recent developments in 2008 have made it clear that there are irregularities in the values obtained from the different testing methods. Although results from any of the three assays may be analytically accurate, they might not be clinically accurate, which is, ultimately, what matters. Since the DiaSorin assay (RIA) was used in the major clinical studies that led to the recommended vitamin D levels, any lab using the LC-MS/MS method need to make sure their test correlate with the RIA test values in order to accurately determine your vitamin D status. It is imperative that you find out if your lab has performed the appropriate recalibrations against DiaSorin’s assays. Otherwise your vitamin D levels may be vastly overstated, in some cases by as much as 40 percent, meaning you may get the green light that your levels are fine, when in fact you are deficient, or perhaps even dangerously low. Vitamin D is a fat-soluble vitamin and can be quite toxic if you supplement too much. Once you have vitamin D toxicity you can’t easily turn it around, which is why you should get your levels checked prior to taking oral vitamin D supplements. Overdosing on vitamin D from sun exposure, however, is highly unlikely as your body has a built-in “failsafe” feedback loop, which will tend to shut down production when your levels are healthy. This is why you should obtain optimal sun exposure, as opposed to lots of sun exposure. You know you’ve had enough once your skin turns the lightest shade of pink. Beyond that you’re only increasing your risk of getting burned, which can cause skin damage. So, be very careful when using oral vitamin D therapy and make certain you have your blood levels checked. Since you have cancer, you are likely very deficient in Vitamin D. The best way to receive you Vitamin D is laying out in the sunshine. The cost is free and the best source for your body. If it is wintertime you must supplement with oral Vitamin D supplements (shown above). Vitamin D has enormous potential for improving your health but be careful on your dosing. For safety purposes it is advisable to optimize your vitamin D levels only with the help of a trained health care professional. When your body succumbs to a disease the immune system is at a point of catastrophic failure. You’re body’s Antioxidant level is so low it cannot keep up with the fungus (cancer), detoxifying, and cleaning up after itself. You need to supplement your body with powerful Antioxidants that can help boost the immune system. When you have cancer you normally have dangerous levels of “Free Radicals”. What are “Free Radicals?” Free Radicals are unstable molecules that can damage cell structures, which lead to cancer and numerous other diseases. The key to good health is maintaining a good balance between antioxidants and free radicals. If you have to many “Free Radicals” your antioxidant level is to low. This Antioxidant Blend will attempt to restore your antioxidant level. Where can I buy these supplements? Where do I purchase these supplements at the best price? Below is the website to Swanson Vitamins that I use to purchase all the items from this list. I find Swanson has the lowest prices. Swanson has monthly specials so it is good to always keep your eye open for a good deal. For instance a bought my Co-Q-10 (Q-GEL) on sale buy one get one free saving me $17.50. Keep watch for their monthly specials. Some of the items go on sale a few times a year. When and how often do I take these supplements? After completion of your “Colon Cleanse” take daily in the evening at dinnertime the entire “Antioxidant Blend”. In the morning with breakfast and at lunch take Alpha Lipoic Acid and Vitamin C only. These two supplements are used by body rapidly and need to be replenished every few hours. More often is even better. According to Dr. Linus Pauling, mineral deficiencies can be traced to disease. Vitamins, Hormones, Amino Acids, and Enzymes are all made up of and activated by minerals. Break down an amino acid to its atomic structure and you find minerals, for example some amino acids are sulfur based. You can see why it is important to avoid mineral deficiencies. 1. Vitamins are the supervisor of the construction crew. 2. Amino Acids (proteins) and Enzymes (from raw fruits, vegetables, raw honey) are the workers wearing the hard hats. 3. Minerals are the materials used for all construction. 1. Most of the Vitamins and minerals are synthetic man made nutrients not designed for your body. 2. The minerals are not cell ready meaning they cannot be absorbed into the cell. Why? Your body does not recognize these synthetic man made nutrients so they expel them from your body as a harmful agent. Your digestive tract cannot breakdown these synthetic minerals so your cell can use them as a nutrient source. The minerals are so large that it would be equivalent to stuffing a basketball inside BB. 3. Absorbing one of these tablets would be similar to swallowing a small crushed rock. 4. Your body cannot breakdown the tablets so it goes through your system undigested. What is the best supplement Source? The best supplement should not be made from tablets instead should come from plant sources where the body can easily digest and send the nutrition directly to the cells for processing. Your body cannot digest most tablet vitamins because they come from crushed rocks, shells, limestone etc. and are not cell ready for absorption. Sources of Liquid Nutritional Supplements. These are the most common. What Supplement do you recommend? EDN provides the best all around nutrient dense product on the market. EDN means “Essential Daily Nutrition”. This liquid high-potency supplement is nutrient-rich blend of over 150 vitamins, minerals, antioxidants, herbs, enzymes, amino acids and essential fatty acids that will enhance and build your depleted immune system. 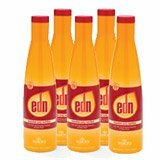 EDN contains 100% of the RDA of the essential vitamins and minerals along with 60 more trace minerals that are cell ready. EDN is packed with Green Tea Extract, Grape Seed Extract, Red Ginseng, cherry, cranberry, pure acai and goji (acai and goji are nature's ultimate berries). There is no other daily nutritional formula I have found packed with more nutritional support than from EDN. EDN offers the most up-to-date, powerful and impressive assortment of natural vital nutrients. In fact, when tested by an independent lab, Waiora's EDN reported the highest amount of total dissolved solids (TDS) compared to many other popular liquid supplements. What is TDS? TDS represents the mg/L of good ingredients and nutrients in a product after water is removed. EDN tastes great and is included in your 60-Day Planner for providing your body with the needed nutrients to increase your antioxidant level and build your depleted immune system. Consume therapeutic dosage of 2 oz in the morning and another before you go to bed. How do I purchase Waiora’s EDN? •	Aging Systems and Organs- Years of bad habits and poor nutrition catch up to you as you age. •	Free Radical Damage- Your body starts its decline when your antioxidant level drops to a level where it cannot keep up with the Free Radicals. Cancer (fungus) can now get a foothold in your “hotspot”. Below is information on purchasing Waiora’s “EDN.” When purchasing this product you have two choices. The first choice is to purchase the product directly at retail price, which runs about $145 for a 5-bottle Pack. The second choice is to become a member and buy the product at wholesale prices ($120 for a 5-bottle pack). This second choice allows you as a member to save and earn money by making purchases and recommending this product to others. There is another product (“Natural Cellular Defense”) that Waiora produces that is included in “My 60-Day Planner” (see chapter 8- Dental Work: Is it Toxic to Your Health?). Becoming a distributor will save you money when purchasing these products together defraying the cost of the membership. Pacific Islanders whose diet is heavy in coconuts have no cancer, heart disease or any other disease. Scientist attribute a diet high in coconuts is protecting these people from degenerative diseases. Coconut oil supports and strengthens the immune system. Use coconut oil for all your cooking and flaxseed, poppy seed, sesame and sunflower oils for non-cooking. These oils will protect and rejuvenate your body. Use it as a moisturizer! I use coconut oil in place of other creams and lotions on my face and body as a moisturizer, especially, during the winter when the indoor humidity drops. The anti-oxidants from the coconut oil restore your skin, take wrinkles away, and kill bacteria and fungi. Coconut oil is the best product I know of for your skin at half the price of those chemical lotions. What is wrong with my moisturizer? Your moisturizer is loaded with chemicals and does a bad job of moisturizing. Why? Most store bought moisturizing creams are predominantly water. Their moisture is quickly absorbed into dry, wrinkled skin just as they are intended to do. As the water enters the skin, it expands the tissues, so that wrinkles fade away and the skin feels smoother. But this is only temporary. Your dry wrinkled skin returns as soon as the water evaporates or is carried away by the bloodstream. Ordinary moisturizer products cannot permanently cure dry, wrinkled skin. These lotions contain some type of highly processed chemically produced oil that are devoid of the entire natural, protective antioxidants that are so important to skin care. Isn’t Coconut Oil Greasy on your skin? Yes, but the “greasy look” lasts only about 30 minutes and goes away once the oil is absorbed by the skin. I keep a container of coconut oil in my bathroom and use it after each shower. How old is Your Skin? Do you want proof Coconut Oil will rejuvenate your skin? Try the Skin Elasticity Test. Before you use Coconut Oil on your skin lets do a simple test – a before and after test. I took the test and discovered how great this natural product is for your skin. As we age our skin loses its elasticity, becoming leathery and wrinkled. This is the result of free-radical destruction and is a sign of degeneration and loss of function. The following skin test indicates approximately how old functionally the skin has become as a result of free-radical deterioration. Take this test and see how your skin rates as compared with the age groups listed. Test to see if your skin is functionally younger or older than your biological age. How does this test work? Pinch the skin on the back of your hand with the thumb and forefinger and hold it for five seconds. Let go and time how long it takes for the skin to completely flatten back out. Compare your results to the table below. Before I started using coconut oil on my skin, I tested at 5-6 seconds. After using coconut oil all over my body for the past two years, I am now at 2 seconds. Coconut oil really does work. I am reminded every time I look in the mirror. After My "60-Day Planner” of lathering your body with coconut oil retake your “Skin Elasticity Test”. What are your results? How much did you improve? So what does this all have to do with my Cancer? Your cancer is a fungus and coconut oil is one of the best natural anti-fungal available. You will be taking therapeutic dosages of 3-4 tablespoons twice a day during your “60-Day Planner” and applying everyday to your body after your shower. What do the different types of Coconut Oil mean? 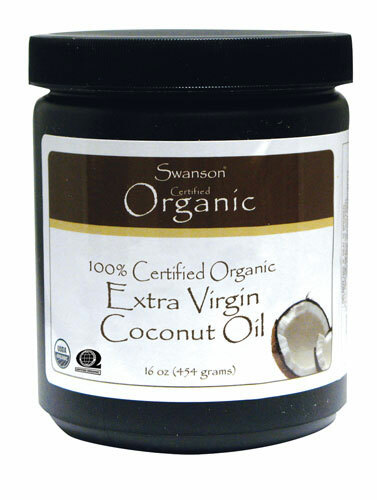 •	100% Organic Extra Virgin Coconut Oil- Use only USDA organic coconuts that retains the taste of the coconuts. Manufacturing process varies from either Expeller-Pressed, Cold Pressed or Centrifuged method. •	Organic Cold Pressed Coconut Oil- Use only USDA organic coconuts that go through an Expeller-Pressed in a heat controlled environment. •	Organic Expeller-Pressed Coconut Oil– Use only USDA organic coconuts that use the “expeller-pressed” method of extracting the oil. •	Extra Virgin Coconut Oil- Use non-organic coconuts that retains the taste of the coconuts. Manufacturing process varies from either Expeller-Pressed, Cold Pressed or Centrifuged method. •	Organic Coconut Oil- Use USDA organic coconuts probably through “RBD” method without chemicals. This process is usually bland without the taste of coconuts. (Good if you do not like the coconut taste). •	Coconut Oil- Probably “RBD” (see below) Use non-organic coconuts, usually by “Chemical Extraction” using solvent extracts, which produces higher yields and is quicker and less expensive. The process is bland. Cost: Cheapest Coconut Oil and not recommended. Please Note: there is no difference between Extra Virgin and Virgin Coconut Oil. •	The first method is called “Expeller-Pressed” which is a chemical-free mechanical process. How do they extract the Coconut Oil using “Expeller-Pressed” method? Coconut oil is expeller pressed from fresh coconuts after the adjustment of the water content, then pressing the coconut flesh again to extract the oil. An expeller press is a screw type machine, which presses oil seeds through a caged barrel. Raw materials enter one side of the press and waste products exit the other side. The machine uses friction and continuous pressure from the screw drives to move and compress the coconuts. The oil seeps through small openings that do not allow solids to pass through. Afterward, the pressed coconuts are formed into a hardened cake, which is removed from the machine. Pressure involved in expeller pressing creates heat in the range of 140- 210 F.
•	The second method is called “Cold Pressed”. Oils that are cold pressed are expeller pressed in a heat-controlled environment to keep temperatures below 120 degrees F. The “Cold Press” process can use quick drying of fresh coconut meat, which is then used to press, out the oil. (Such virgin coconut oil can be stated as "cold pressed virgin coconut oil"). This retains much of the coconut flavor. This method produces the better oil and is recommended. •	The third method is called “Centrifuged method”. Virgin coconut oil is extracted from fresh coconut meat without drying first. "Coconut milk" is expressed first by pressing. The oil is then further separated from the water. Methods that can be used to separate the oil from the water include boiling, fermentation, refrigeration and mechanical centrifuge. The main method used for RBD (refined, bleached and deodorized) Coconut Oil (the non-virgin alternative) is produced from dry coconut meat (copra). RBD coconut oil is produced from copra. Copra is made by drying coconut in the sun, smoking and heating it. During the production process, chemicals are used and the oils are heated to high temperatures. Because this coconut oil is produced with high temperatures and chemicals, its taste becomes bland. You will not find Coconut Oil in your favorite grocery store. Normally you will find Coconut Oil in a "Natural Foods Store" or Vitamin Shoppe. Buying from these stores can be very pricey. I have been purchasing quality Coconut Oil from the sources shown below. 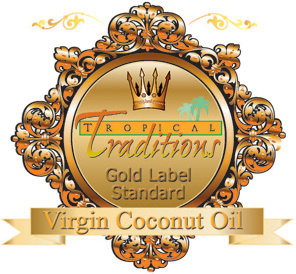 The best Organic Virgin Coconut Oil is made from a company called “Tropical Traditions”. 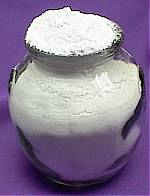 There manufacturing process is unique compared to most Coconut Oil manufacturers. Many of their producers are in areas so remote, that if they did not use their coconuts to produce Virgin Coconut oil for them, no one would buy their coconuts because it cost too much to transport them to manufacturing plants. “Tropical Traditions” trained each of their producers the old time and true method of making Coconut Oil. They started collecting and using the pure nutritious coconut water from inside the organic coconuts. They noticed that the water separated from the oil much quicker, and that the end result was a higher quality and better tasting Virgin Coconut Oil. Independent laboratory analysis shows this to be one of the highest quality coconut oils on the market, having the highest levels of antioxidants. This enhanced Virgin Coconut Oil is now in the US market under the Tropical Traditions Gold Label brand. It meets the strictest standards to earn this designation. Today when you buy Tropical Traditions Gold Label Virgin Coconut Oil, you are buying the highest quality coconut oil they have to offer, and it is still made by hand and benefiting families in the rural areas of the Philippines where the coconuts grow. Cost is $230.00 for 5 Gallon Pail. Shipping is $30-35. Nature's Approved® Extra Virgin Organic Coconut Oil is USDA Certified Organic, cold pressed, from FIJI. Enjoy the South Pacific with the taste of this delightful oil! This pure coconut oil echoes the pristine environment of its origin. Double Green: green farmed and green-processed! Not refined, Not RBD (refined, bleached, deodorized) and no GMOs. No chemicals used in processing. The large 5-Gallon Pail cost is $164.95 + $34.95 shipping. Good Quality: Non-organic $ 120.00. Good Quality: Organic $ 150.00 (+$30-35 Shipping) a good Coconut Oil without the Coconut Taste from “Tropical Traditions” is still recommended but not the best quality. Swanson may be the better alternative for smaller size purchase because shipping costs only $4.95 with no size limit. Cost is $5.99 per bottle (I use 2.5 bottles per month. You will use more since you will be taking a therapeutic dose. Allow for at least 5 bottles per month. If you bought 5-gallons worth (40- 16 oz. bottles) at $5.99 your cost would be $239.60. Buy all your supplements from Swanson at the same time so shipping will only be $4.95. As I have stated throughout this E-Book, “Cancer is a Fungus”. Get rid of the fungus and their mycotoxins and you can beat your cancer. There are many natural Anti-Fungals but I list the most potent ones that you should use in your Program. Below is a list of Anti-fungal remedies that you will be taking to kill the fungi in your body. Olive Leaf Extract This extract has strong antimicrobial agents that kill pathogens in your body. Malic Acid Drink Raw Unfiltered Organic Apple Cider Vinegar. Apple Cider Vinegar (ACV) is a powerful body detoxifier and cleanser. ACV kills germs, viruses, molds and bacteria. Just one tablespoon per day in your water will keep your digestive system clean and healthy. Malic Acid in ACV is a powerful Anti-fungal. See page 97 for more details. Raw Garlic A powerful Anti-fungal, Antibacterial, and Anti-viral. Eat or drink (juicing) as much raw garlic as you can. One of the enzymes in garlic, allicin, has proven therapeutic remedies for boosting your immune system while killing the fungi in your body. Add raw garlic to your salads. Avoid cooking garlic since this reduces the potency. Carrot Juice Carrot juice is an excellent Anti-fungal. That is why I have included it in all my juicing recipes. Juice at least 1 lb of carrots per day. Raw Parsley Immune system enhancer. Helps increase your natural levels of "Human Growth Hormone" HGH. Cilantro Helps detoxify your body. Natural Anti-fungal. Pau d'arco A natural fungicide. Can be taken in the tea form or in capsules. Grapefruit Seed Extract Eat lots of grapefruit. Great for your juicer. You can buy the Extract in any health food store. Spinach Include in all your salads. Juice the leaves to provide a great Anti-fungal. Helps increase your natural levels of "Human Growth Hormone" HGH. 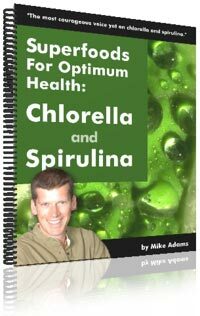 Why should I take Chlorella and Spirulina? I believe these two super foods are the best supplements for prevention and helping build your immune system. How can these super foods help you? • There is a photochemical found in chlorella that can actually rebuild nerve damage in the brain and nervous system. That’s why chlorella is being used in the recovery of patients with Alzheimer’s and Parkinson’s disease • and many more to numerous to mention. Where can I buy Chlorella and Spirulina? Five pounds of Chlorella and Spirulina should last you at least three months even on my therapeutic dose of three tablespoons per day. Don’t purchase this now because Chapter 11: guides you through your purchases under “My Checklist”. Dr. Johanna Budwig, nominated for the Nobel prize seven times, has successfully treated cancer patients with Flaxseed Oil and cottage cheese. When I read this, I couldn’t believe it either so I bought Dr. Budwig’s book “Flax oil as a True Aid Against Arthritis, Heart Infarction, Cancer and Other Diseases”. In Dr Budwig’s book she states that some fats promote cancer and other fats dissolve cancer away. The chemical processing of fats destroys the vital electron cloud within the fat. Once the electrons have been removed, these fats can no longer bind with oxygen, and they actually become a harmful substance deposited within the body. The heart, for instance, rejects these fats and they end up as inorganic fatty deposits on the heart muscle itself. Chemically processed fats are not water-soluble when bound to protein. They end up blocking the circulation, damaging heart action, inhibiting cell renewal and impeding the free flow of blood and lymph fluids. The bioelectrical action in these areas slows down and may become completely paralyzed. The entire body shows a measurable loss of electrical energy, which is replenished only by adding electron rich unsaturated fats active in lipids to the diet. These nutritional fats are truly vital for health. Since Dr Johanna Budwig’s findings on the benefits of flaxseed oil have been widely publicized, scientists around the world have eagerly jumped on the bandwagon. Studies conducted using flaxseed oil on numerous disorders have been pouring in from all over the world, showing impressive results, including anti-tumor activity, increased metabolism, greatly boosted immune system, reduced cholesterol levels, normalized blood pressure levels and inhibition of cancer cell growth. Books, research reports, articles and testimonials abound, all touting the healthy benefits achieved by supplementing the diet with organic, raw, cold-pressed flaxseed oil and with cottage cheese. Dr Budwig’s research was based on using the ratio of two tablespoons flaxseed oil mixed with one-quarter cup of cottage cheese. After 30 years of research, Dr Budwig, found that the blood of seriously ill cancer patients was deficient in certain important essential ingredients, which included substances, called phosphatides and lipoproteins. (The blood of a healthy person always contains sufficient quantities of these essential ingredients. However, without these natural ingredients cancer cells grow wild and out of control). I have already stated what oils you need to avoid (in chapter 2) but below are the good fats that well melt your cancer away and are included in your “Anti-Cancer Diet”. Why isn’t Extra Virgin Olive Oil on the List? While “Extra Virgin Olive Oil” isn’t bad for you, it doesn’t provide the Anti-Cancer properties that the above oils have. “Extra Virgin Olive Oil” won’t melt your cancer away like Flaxseed Oil. Can I just consume Coconut Oil? No, you need the excellent highly unsaturated fats to help digest and breakdown the saturated fats and bad fats. Coconut Oil needs Flaxseed Oil to do its great work. How long will it take before I feel results? As little as three days if you combine Flaxseed Oil with lowfat cottage cheese and sunshine on your body (with no sunscreen). Sunshine is needed to charge you up? What does the sunshine have to do with “Budwig Protocol?” Dr. Budwig discovered that the electron rich seed oils attract the electro-magnetic waves photons from the suns rays. Say this again in English! Your body is like a battery. The bad oils you have been consuming throughout your life have caused your battery to disconnect. You have little or no electrical charge that is needed for optimal health. When you consume Flaxseed Oil and cottage cheese you allow your body to reconnect your battery. Once your battery is reconnected all you need to do is charge it back up with sunshine on your body. I recommend consuming twice daily two tablespoons of Organic Flaxseed Oil with ¼ cup lowfat cottage cheese. Add a tablespoon of raw honey for good digestion with your cottage cheese. The recommended daily dosage is included in Chapter 12: “My 60 Day Planner”. Where can I get this Flaxseed Oil? 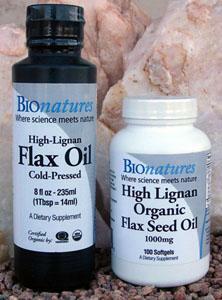 Swanson Vitamins sells its own brand of “Cold Pressed Organic Flaxseed Oil” for only $7.49 per 16 oz bottle. You will need at least 8 bottles for “My 60 Day Planner”. Don’t purchase this now because Chapter 11: guides you through your purchases under “My Checklist”. Use Flaxseed, Sunflower, Sesame, and Poppy Seed Oils in your daily salads. Do not use store bought salad dressings because they use the cancer causing bad fats (soybean oil, vegetable oil, corn oil, canola oil). That is why no processed foods are allowed on the “Anti-Cancer Diet” because these foods contain your bad fats. That is why you are not allowed to eat at a restaurant because all of their oils they use to make your food are the bad fats. In India where turmeric is widely used, the prevalence of four common U.S. cancers – colon, breast, prostate and lung – is 10 times lower. In fact, prostate cancer, which is the most frequently diagnosed cancer in U.S. men, is rare in India and this is attributed, in part, to turmeric. 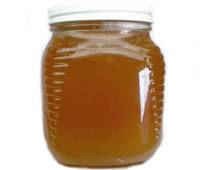 Raw honey is a super nutritious miracle food that is Anti-fungal, Anti-bacterial, and Anti-viral. Phytonutrients found in honey have been shown to possess cancer-preventing and anti-tumor properties. These substances include caffeic acid methyl caffeate, phenylethyl caffeate, and phenylethyl dimethylcaffeate. Researchers have discovered that these substances prevent colon cancer in animals by shutting down activity of two enzymes, phosphatidylinositol-specific phospholipase C and lipoxygenase. When raw honey is extensively processed and heated, the benefits of these phytonutrients are largely eliminated. That is why we don’t recommend store bought honey because they are pasteurized. Pasteurization takes all the enzymes and nutritious components out. Raw Honey is a great source for “friendly bacteria.” Raw Honey provides at least 10 different species of bacteria that are beneficial to your gut. Many people have experienced therapeutic results with their illnesses. Raw Honey contains more than 1,000 enzymes. People who take Raw Honey for the first time should watch out for the detoxifying effects that could produce allergic reactions. Just start slow and take more as your body adjusts to this miracle food. Where can I buy Raw Honey? All supermarket Honey has been processed and heated destroying all the beneficial enzymes. Only buy Raw Honey that has not been heated. Check your local “Farmers Market”. They usually have vendors who sell raw honey. Make sure the honey is RAW! I buy my honey at my local “farmers market” in one-gallon jars (11 lbs) for just $35.00. This is a great price and you probably won’t find a deal like this. This honey will last for 6 months to a year. You can buy raw honey on the Internet but it will be expensive. Here are a couple of sources if your “Farmers Market” doesn’t work out. The absolute best quality Organic Raw Honey is from the bees in the frontier area of Canada. You will pay three times more but the quality is superior. Click on the bottle of honey to take you to Tropical Tradition's website shown top-left. (http://www.tropicaltraditions.com/organic_raw_honey.htm). Bulk Foods also sells Raw Honey and the price is much lower and I still recommend it. A 40 oz jar is $20. Click on the bottle of honey to Bulk Foods website shown bottom-left. (http://www.bulkfoods.com/health.asp). Apple Cider Vinegar (ACV) is a powerful natural body detoxifier and cleanser. ACV kills germs, viruses, molds and bacteria. I put a tablespoon in my alkaline water and drink it every morning and before each dinner. ACV helps digestion by increasing the amount of hydrochloric acid that is produced by the stomach. What are the Benefits of Apple Cider Vinegar? Don't buy the "Apple Cider Vinegar" that is in your grocery store. That Vinegar has been heated and processed and no longer has the vital nutrients of "Organic Raw (Unfiltered) Apple Cider Vinegar with the 'Mother'. The reason why I recommend Apple Cider Vinegar is for detoxifying, digestion and maintaining good Colon Health. The other benefits come free. 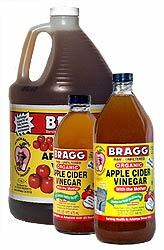 I buy my Raw Unfiltered Organic Apple Cider Vinegar with the "Mother" from the manufacturer direct at “Bragg” in the one-gallon containers by the case (4 x 1 gallon). Don’t purchase this now because Chapter 11: guides you through your purchases under “My Checklist”. Probiotics are the healthy “friendly” bacteria in your gut that are required for proper digestion. Your gut should contain billions upon billions of “friendly” bacteria. These “friendly” bacteria help keep your digestive system in balance. However, when you consume Antibiotics from your Doctor, Supermarket Milk, Factory Farmed Meat and processed foods you destroy your “friendly” bacteria and cause digestive problems. See Chapter 6 on Digestive Health where we discuss this subject in detail. I firmly believe that all cancer patients have poor Digestive Health and that is why I begin the Program addressing this problem first. Probiotics are one of the three keys to good Digestive Health. How Do I Know if I need Probiotics? 1. You drink "supermarket milk" which contains antibiotics. 2. You consume "supermarket beef, pork and chicken" which contains antibiotics. 3. Your Doctor has prescribed antibiotics every time you get sick. 4. You have gas normally after every meal. 6. You have a clogged up colon because you don't have two to three bowel movements per day. How do I reintroduce Probiotics? 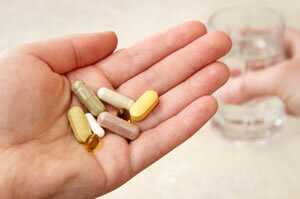 Another way to provide your gut with Probiotics is to purchase a supplement. This is the fastest and easiest way to quickly get the gut its needed probiotics. This product is manufactured in Japan. Cost: $43.16 per box of 20. Don’t purchase this now because Chapter 11: guides you through your purchases under “My Checklist”. 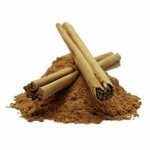 The sweet and spicy flavor of cinnamon has been used by many different cultures for its medicinal properties for hundreds, even thousands, of years. Where can I buy Cinnamon at a good price? You can buy cinnamon on-line from www.BulkFoods.com. Stores that sell cinnamon in the large bottle size include Sam's Club and Gordon's Food Service. A large bottle is less than $4.00. I take two teaspoons of ground cinnamon daily with my morning supplements. Cayenne is a pepper well known for its benefits to the circulatory system. It aids the body to balance pressure levels and resist abnormal bleeding. Cayenne is also used as an overall digestive aid: It stimulates the production of gastric juices, improves metabolism, and even helps relieve gas. It appears to have a beneficial effect on blood fats as well. This plant assists in the body’s utilization of other herbs, when used in an herbal combination. According to a 1987 study published in the Journal of Bioscience, rats fed a diet high in cayenne experienced a significant reduction in blood triglycerides and low density lipoproteins (LDL), or “bad” cholesterol. Capsaicin, a compound found in cayenne that gives the spice its “kick,” is an anti-inflammatory. Recently, cayenne has been used successfully to treat patients with cluster headaches, a particularly painful type of headache. Cayenne will work nicely as a general immune booster, or as an addition to treatment of almost any ailment. I recommended 2 teaspoon 2 times a day, taken with plenty of water or juice at mealtime, unless instructed otherwise. You can buy cayenne pepper on-line from www.BulkFoods.com. Stores that sell cayenne in the large bottle size include Sam's Club and Gordon's Food Service. A large bottle is less than $5.00. Don’t purchase this now because Chapter 11: guides you through your purchases under “My Checklist”. How to take Cayenne Pepper? Why? Cayenne Pepper helps build your immune system, enhances your circulatory system, stimulates the production of gastric juices, improves metabolism and assists in the body’s utilization of other herbs, when used in an herbal combination. I take Cayenne Pepper in water, which is very hot going down, but the heat will only last for 5 minutes. I like how it clears my sinuses and flushes my eyes. If this doesn’t work for you there are two more options. Take the Cayenne Pepper in your “Raw Eggs” at Breakfast time. Mix two teaspoons with your eggs and drink (it doesn’t mix well). This takes 90% of the spicy hot away. The third method is putting the two teaspoons in capsules and swallowing them. This takes 100% of the spicy hot away but it takes time to load your capsules. Where Can I Get these empty Capsules? Swanson Vitamins sells empty capsules you can use to swallow Cayenne Pepper and your Indian Herb Formula (See supplement #14). Thousands of people have had success with fighting their cancer and other illnesses with an “Indian Herbal Formula.” This small vial is very potent and effective in helping your body fight many diseases including cancer. The picture to the left is the vial you will receive when you order this herb. The Indian Herb is a perfectly balanced vitamin and mineral substance, which is not harmful to the body in any way. It balances the metabolism and any blood disorders. It is a dark, semi-liquid paste. The herbal paste may be taken orally or applied directly to an abnormal growth or used as a “preventative/maintenance” health aid. 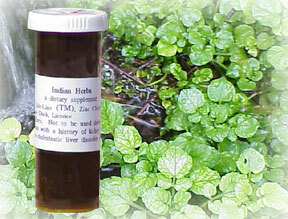 The Indian Herb is not a gentle healer. In most reported cases, it is a relentless substance, which hunts down and penetrates all abnormal tissue. As a part of the healing process you may experience pain, swelling and sometimes fever during its use. Caution – Do not overdose! The following recommendations are based on what the majority of users have found so far to be effective. These recommendations describe the absolute MINIMUM doses that people have found to be effective. It cannot be stressed enough – The Indian Herb is very potent. Do not assume that if a little works, more will be better. Use the small-recommended dose only. Taking large doses will make you endure far more pain than necessary, and extend the healing period much longer than necessary. Cost is $56.00 plus $6.00 shipping and handling. Perhaps one of the most important minerals for the prevention of disease is calcium. Calcium is 1.4% of your chemical composition of your body just behind oxygen, carbon, hydrogen and nitrogen. Calcium is the most abundant mineral in the human body. Calcium is an alkaline, positive mineral that has a powerful attraction for oxygen. This attraction helps alkalize the body by sending oxygen to your system. Remember, earlier we discussed how important it was to “Flood your body with Oxygen”. What did we say? Cancer and Fungus cannot survive in an oxygen environment. They need an anaerobic environment lacking oxygen to survive. Calcium floods your body with oxygen and is a key Supplement in your “60-Day Plan”. Why do we take Magnesium? For calcium to be absorbed properly it needs to be combined with magnesium and Vitamin D.
Your key to good health is maintaining an adequate supply of minerals for your blood. In the “Anti-Cancer Diet” we focus eating foods that have a high mineral content in addition to supplementation to boost your immune system. Calcium and magnesium, two key major minerals, play a crucial role in bringing your body back to health. That is the reason we include calcium and magnesium as special supplements in My “60-Day Planner”. Where do I buy my Calcium & Magnesium? My number one supplement for boosting your immune system is Beta Glucan. What is Beta Glucan? Beta glucan is extracted from the yeast cell wall of Baker’s yeast as a purified isolate with harmful yeast proteins removed. How does it boost my Immune System? Beta Glucan teaches your immune cells to respond properly to a foreign invasion from bacteria, virus, fungus, and parasites while not responding to harmless substances such as pollen, ragweed or cat's hair. Beta Glucan is a "biological response modifier." What does that mean? Beta Glucan changes the response of certain parts of your immune system, in a beneficial way. 1. Macrophages- monitor blood and lymph fluid. Invaders are destroyed by ingestion. 2. Natural Killer T-cells- The purpose of an natural killer cell is to examine other cells and to kill them if they find they are not normal cells. 3. Neutrophils (white blood cells)-The purpose of neutrophils (white blood cells) is to patrol the bloodstream mostly for infections and to destroy the bacteria causing them. Beta Glucan binds to the above parts of our immune system and "encourage" them to be smarter and more effective. Bottom line is an improved immune system response. 2. disaggregation of the glucan, a process that assures the micro-particulate particles will not “clump” back resembling a cluster grapes when exposed to water in the digestive process. There is one supplement that has a patented process that naturally allows your cells to accept the Beta Glucan. This product is my recommended best buy because it is much more effective then the lower priced products. If your body is immune-compromised be sure to take this product daily for "My 60-Day Planner." Take one capsule (100 mg) daily for 60 days and watch what happens. This is truly a great product and I recommend it strongly for "My 60-Day Planner." In most cases fungus has invaded your body and your Doctor doesn't know. Why? Your Doctor has not been trained in Mycology. In most cases he treats your symptoms as a bacterial infection. If you are being treated with an antibiotic and you have a fungal infection your symptoms will get worse because "fuel is being added to fire." Antibiotic is a fungal mycotoxin that treats only bacterial infections. Do not take an antibiotic if you have a fungal infection. Read my E-Book - How to Restore Your Health from Cancer to learn the proper steps to take from Nutrition, Supplementation, Exercise, and Detox. What Diseases Are Caused by Fungus? Almost all major diseases or illnesses can be caused by fungus. Below is a partial list of some conditions that likely is related to fungus. How do you know you have a fungus infection? Go on the Anti- Cancer Diet and follow "My 60-Day Planner" in my E-Book . In as little as 30 days you should see remarkable results in your health by following a diet that starves the fungus while feeding your body with anti-fungal foods.